Lost 80 Lbs / Maintaining a Size 6 – even after having a Baby in 2009! For years, I suffered from acid reflux which disappeared within the first week I was on the HCG Diet! I had also suffered from sleep apnea, chronic fatigue and digestive problems and as I lost weight, these also disappeared! During and after the HCG Diet, I noticed a significant increase in my energy level and I still feel great! I also no longer have leg and foot cramps, am more alert and also happier with life in general.After losing the 78 pounds, I was amazed how my skin shrunk back to what it was when I was much younger and the fact that I have been able to maintain the weight loss since 2008. I am so thankful for the HCG Max Diet Plan and the maintenance program Beth has created! 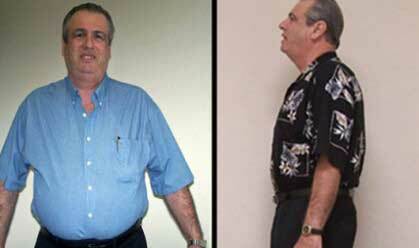 ~Kevin, St Petersburg, Florida Lost 78 Lbs in 4 months! Beth Golden has been my wellness practitioner since 1999 and has always stayed up to date on cutting edge practices and the latest and greatest natural products. A couple years ago I went in to see her and she looked so different! 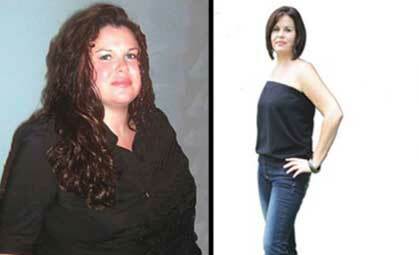 She had lost a significant amount of weight and I HAD to hear how she did it. She explained to me the HCG Diet plan and detox program she had created and I decided if she could do it then I could too!Her HCG Diet Plan has absolutely changed my life! I went from a size 14 to a size 8 in 8 weeks and then within the next 2 months I kept getting smaller and smaller without even losing any more weight and went down to a size 4! I am able to do more traveling now and can’t always eat as healthy as I should and a cruise is no place to “diet”! 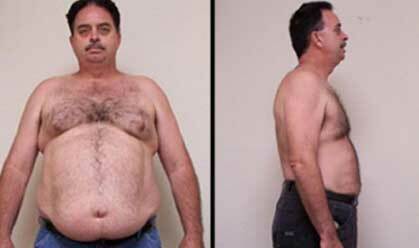 Late in 2009, I had gained 10 or 12 pounds because of my travels and contacted Bethe and went back on the HCG Max Diet and lost it all in just 3 weeks. This is the best thing Beth ever introduced me to! When I first went into Beth’s clinic, I was a type II diabetic with high blood pressure and took a lot of medications for both illnesses. I also had back pain and suffered from depression and was really concerned about how the Diabetes was adversely affecting my health. When Beth met with me and explained the HCG Diet Plan and the necessary detoxification program before the HCG Diet, I realized how much more she knew about helping people with good health well beyond just the HCG Diet. I have to tell you I was pleasantly surprised with her knowledge and had renewed hope for improving my health.During my pre-diet detoxification program, my wife and I both experienced significant improvements in our skin, our energy and just overall feeling better. Then as I started the HCG Diet, I worked closely with Beth and her Medical staff both my diabetes and high blood pressure improve. As a matter of fact, within less than 3 weeks I was completely off all my meds and for the first time in years, I felt in control. My sugar cravings lessened, I had a lot more energy and I felt great! "Dr. Golden delivers consistent and accurate information that allows one to access and follow with relative ease. The trainings are well organized and precise and format easy to follow. "Not only do my patients always get extraordinary results on Dr. Golden's HCG Max Diet Program, but I did this diet more than a year ago and was sold!! "Not knowing what to expect, Dr.Beth's training and the results my HCG Dieters are getting have exceeded my expectations. I'm also impressed with the follow-up reviews and training that have filled in the gaps and expanded my understanding of the concepts and diet.